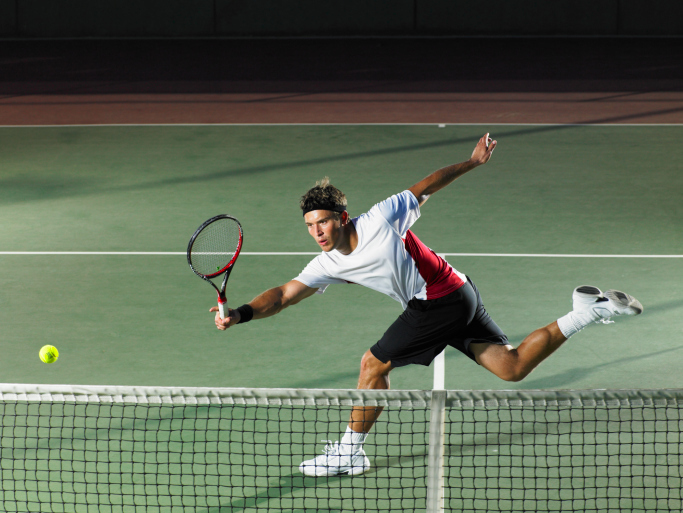 The Citi Open tennis tournament kicked off this past weekend, and Washington is enjoying some exciting tennis action! Citi is proud to once again sponsor this renowned tournament, which has become a summer sports staple in the DC-area for the past 45 years. And the 2013 Citi Open tournament promises to be the best yet. First and foremost, the Citi Open tennis tournament offers world renowned tennis as one of only 11 elite Association of Tennis Professionals (ATP) World Tour 500-level events worldwide and the only one held in the United States. In addition, the Citi Open tournament features a Women's Tennis Association (WTA) International Tournament, which provides fans the opportunity to watch simultaneous competitions of men's, women's, and doubles' tennis throughout the event. The Citi Open tournament features plenty of off-the-court fun, including food and wine tastings, events celebrating military, veterans, first responders, and their families, a chef challenge, prizes, and more. After the 2007-2009 stock-market plunge wreaked havoc with the performance of some 529 college-savings plans, there were fears that parents would take their education savings and go elsewhere. But in fact, assets in college-savings plans increased 25% in 2012 to more than $166 billion, according to Morningstar, Inc. This comeback isn't entirely surprising, given the stock-market rebound since early 2009. But even without strong market performance, 529 college-savings plans remain an intriguing choice--for three reasons. In connection with Global Community Day this past weekend, Citi employees are sharing their stories on volunteerism and how they've made an impact in their local communities. Pearson Buell, a Citi volunteer and a Vice President within Consumer Operations & Technology at Citi, shares several experiences he had last year, from developing a unique "pay it forward" campaign to creating a free sailing clinic that helps young people develop life skills. During my 20 years at Citi, I've worked in a variety of roles, each with increasing leadership and management responsibilities. I have always enjoyed managing people and continue to refine my leadership style. It is hugely rewarding to see a company benefit from good leadership. Here are some of my thoughts on how to refine this quality. We are very proud to be recognized by Euromoney magazine as the Best Private Bank in Latin America as part of the magazine's Private Banking Survey 2013. Euromoney has been awarding the Private Banking Awards since 2004, and it is considered one of the most respected awards in the banking industry. Awards are based on the annual Euromoney Private Banking Survey, which provides a qualitative and quantitative review of the best services in private banking, by region and by areas of services. Factors such as assets under management, profitability, ratio of clients to relationship managers, and services offered, among other things, are all considered in developing the ranking of top private banks. The coaching world's "Moxie Maven," former Miss Junior America Alexia Vernon, may seem like she's got it all - she's successful, she's smart, she's witty and she almost has 5,000 Facebook followers to boot. But this career coach, media personality and twice-published author had to jump through her fair share of hoops before she could build her Step Into Your Moxie platform. Citi's Chief Economist Willem Buiter and Global Head of Commodities Research Ed Morse have been recognized as two of the Top 100 Global Thinkers by Foreign Policy Magazine. Ed's distinctive work on North American energy independence, launched through Citi's GPS research series, garnered him the 23rd spot on the list. Willem is ranked 29th and recognized for his research surrounding the likelihood of a Grexit. Congratulations to Willem and Ed for being recognized as global thought leaders! We are honored that Citi Innovation Lab has been recognized by the prestigious National Infocomm Awards (NIA) for the Innovative Use of Infocomm Technology, Private Sector (General) category for its Interactive Solutions software. Citi Innovation Lab leverages new web, mobile, supply chain and analytics technologies to engage Citi's institutional clients more innovatively to create the most effective solutions and products for them. It is also the first transaction banking experience of its kind for corporations. In celebration of Citigroup's 200th Anniversary, we are sharing stories from our rich history here on this blog. The 30th installation below covers how the bank's flourishing business helped provide processing and clearing for international customers. Read the 29th installment explaining how the bank dealt with financial panics in the early 1990s, here.